Summer arrived in our backyard! Summer is officially another 19 days away. We are so privileged to steal a few days from spring to celebrate summer early. 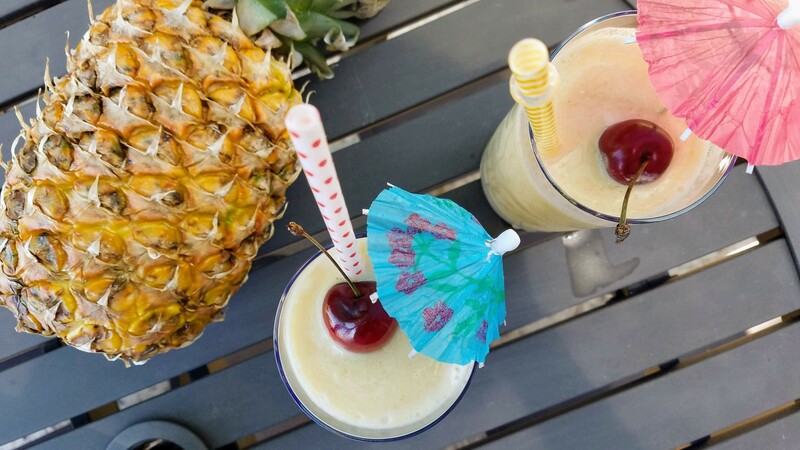 There is no better way to welcome this beautiful day than a glass of frozen pina colada. 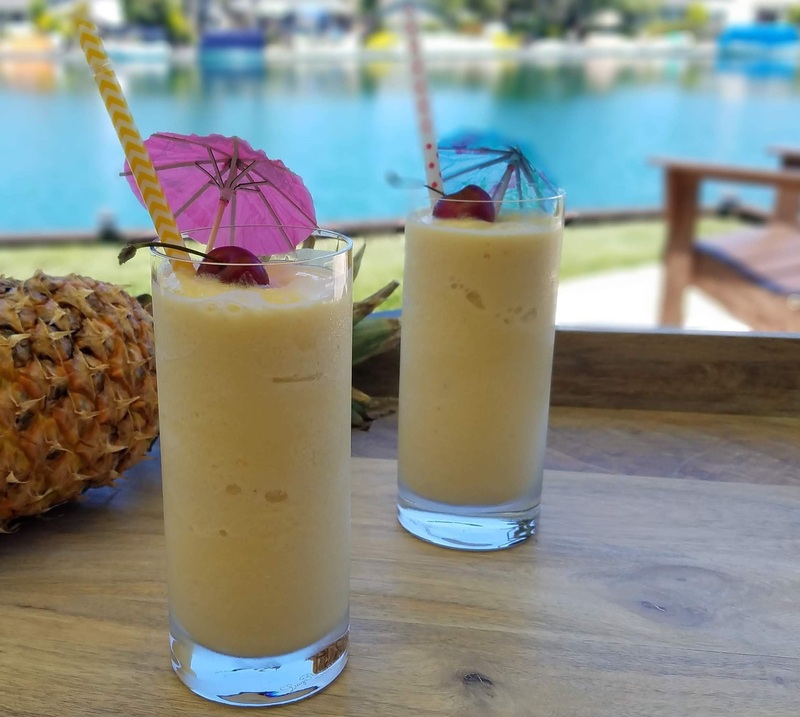 Pineapple and coconut are two of my favorite cocktail ingredients; they came together perfectly in this cool, refreshing drink on a hot ‘summery’ day. Cheers! Blend all ingredients in a power blender until smooth. Divide into two 12 oz tall glasses. Pineapple must be very ripe. Freeze unused portions. I dissolved half cup sugar in half cup water, and there is still simple syrup left behind. Save whatever is not used to enjoy this refreshing drink even quicker the next time.